Everything you need to complete your tubeless ready wheelset. 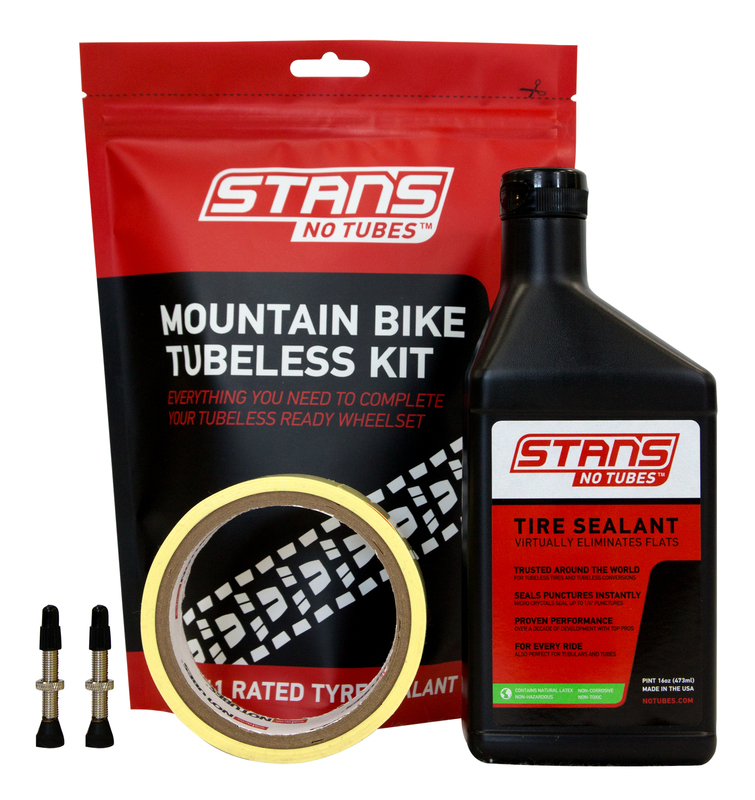 In this pack you will find everything you need to complete your tubeless ready wheelset as well as detailed instructions of how to do it. 1 x Pint Sealant – 1 pint of sealant will convert up to 8 MTB tyres. It seals punctures up to 6.5mm virtually instantly. 2 x Presta Valves – Valve stems with removable valve cores. Fits up to 8mm valve hole.